Upon arrival, you’ll proceed to the Sandals lounge, which is conveniently located at Sangster International Airport (MBJ), in Montego Bay. 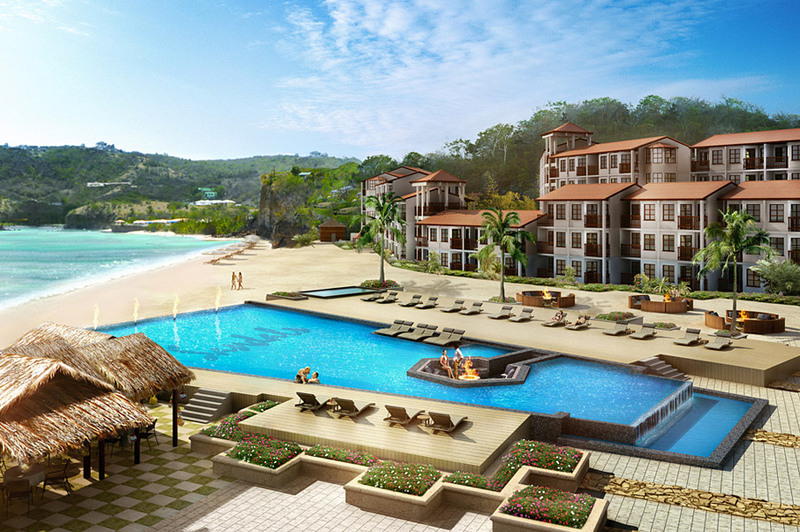 Your complimentary transfer to and from the resort will be arranged by Sandals. 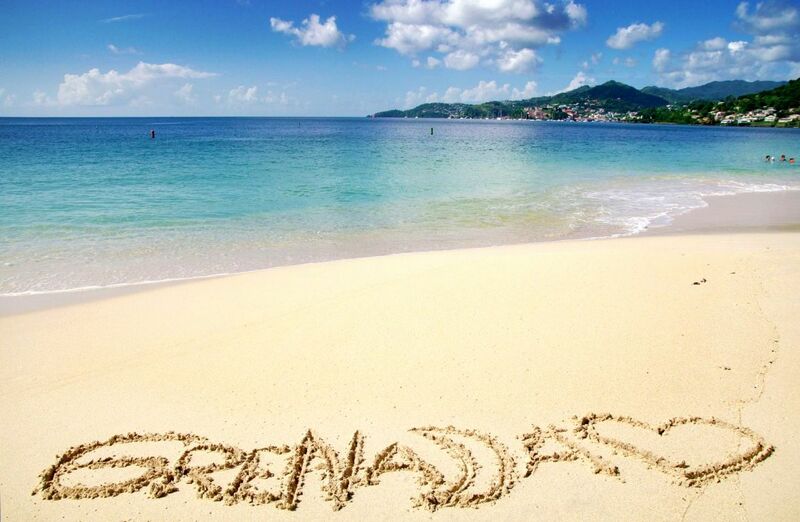 Climb aboard your bus and enjoy your included roundtrip airport transfer from Montego Bay International Airport to Sandals Whitehouse. The journey takes a little over one hour, so sit back and enjoy the magnificent scenery along the way. From the moment you arrive, you’ll find yourself immersed in the untouched beauty and warm hospitality of Jamaica’s stunning south coast. Nestled within an uninhabited 500-acre nature reserve, Sandals Whitehouse is a tranquil haven located within reach of some of the island’s most spectacular sights. This is the real Jamaica — with endless sugar cane fields and cascading waterfalls. The resort is spread over 50 acres. A tranquil tropical paradise, which sits along side a two mile beach. 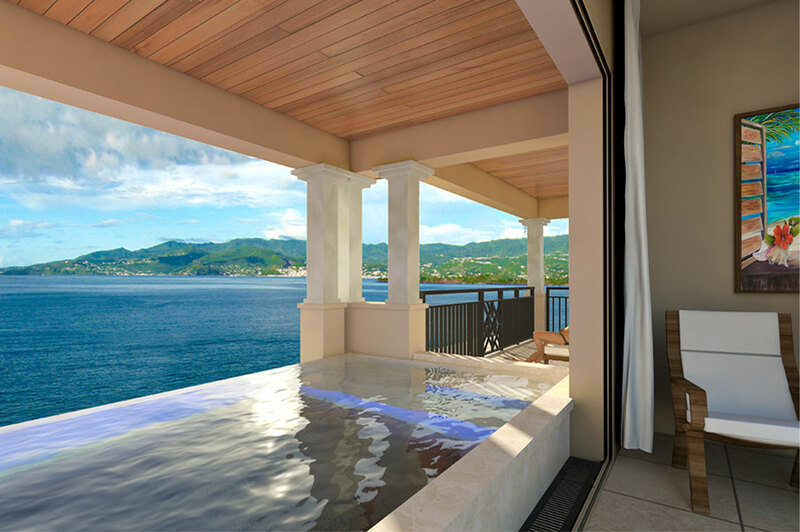 360 Oceanview rooms and suites in 15 categories. 7 Restaurants and 6 Bars ore on this property. Over 14,000 square feet of meeting and convention space, including a 3- level Theatre. Requirements: If you want to wed legally in Tahiti you will need to start the process at least six months in advance (you can also marry stateside and enjoy ceremonial-only vows in Tahiti with far less paperwork). There are about six detailed documents that need to be translated and filed, including a “Marriage of Foreign Citizens in French Polynesia” document; a letter signed and dated by both spouses and addressed to the mayor of the commune where the wedding will take place; proof of identities (copies of both spouses passports); a certified copy of both spouses’ birth certificates issued less than six months prior to the wedding date, authenticated with an “Apostile,” translated into French by an approved translator and legalized by the French Consulate; a “Certificate of Non-Marital Status” signed by a lawyer, translated into French and legalized by the French Consulate; and proof of residency for both spouses (such as utility bills). Options: Without exception, the actual legal marriage will take place at the City Hall on the island where the couple will wed. 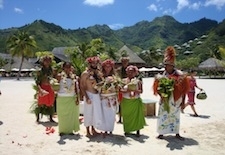 This can be immediately followed by a beach, chapel, or hilltop ceremony featuring any combination of traditional Tahitian vows (presided over by a priest in plumed headdress and ceremonial garb with both couples dressed in white pareus and adorned with crowns and garlands of flowers and then wrapped together in the vibrant “Tifaifai” or wedding quilt) or Western ceremony (presided over by a justice or minister with the couple in a wedding gown and suit). 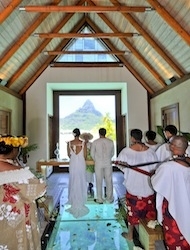 Depending on the locale, brides or grooms can arrive via dugout canoe, electric cart, or on foot to backdrops as varied as a glass-floored overwater chapel, a private motu (small island), or a catamaran sailing Bora Bora’s lagoon as the sun dips behind Mt. Otemanu. 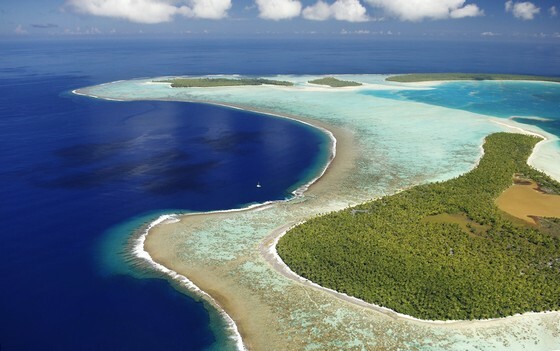 Locations: Almost every major resort on Tahiti’s three main islands – Tahiti, Moorea, and Bora Bora – has wedding packages in place. Moorea Pearl Resort – This Tahitian-owned property offers colorful, flower-infused weddings in two wonderful locations: a convenient beachfront at the resort with the bride’s arrival by canoe to her awaiting groom (about $800-$2,000 depending on extras such as musicians, dancers, and dinner), and a day-long celebration on a more private motu, reachable via a 20-minute boat ride (starting at about $2,000). All ceremony packages include musicians, floral leis and crowns, and traditional pareus for the bride and groom, plus a beautiful bed of flowers and Champagne in the couple’s bungalow. 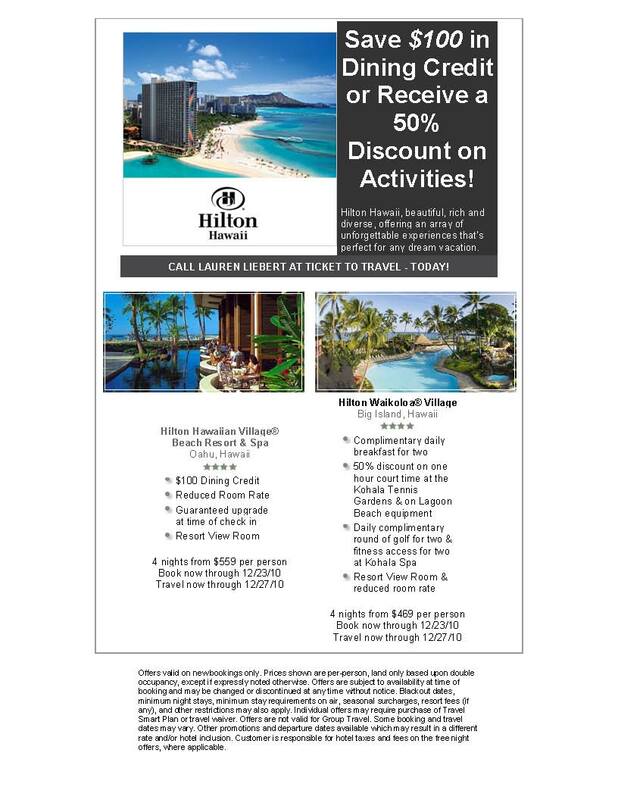 Rates from $271. InterContinental Moorea Resort & Spa – The jagged green peaks of Moorea create a stunning, altar-like backdrop as couples in white pareus and a coconut-shell top (for her) stand barefoot in soft white sand next to the brilliant pale blue lagoon and exchange vows at sunset in a vibrant and enjoyable music and dance-filled Polynesian ceremony. Here, the groom arrives by outrigger canoe and the resort offers the option of a “Mini” Ceremony (accompanied by 8-10 musicians and dancers for about $1,300) or a longer “Grand” Ceremony (15-20 musicians and dancers for about $2,000). The couple returns to their flower-decorated bungalow for canapés and Champagne, followed by a private or group dinner at extra cost. 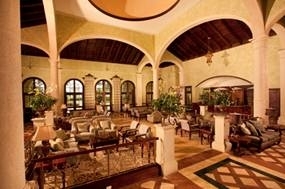 Rates from $287/night. 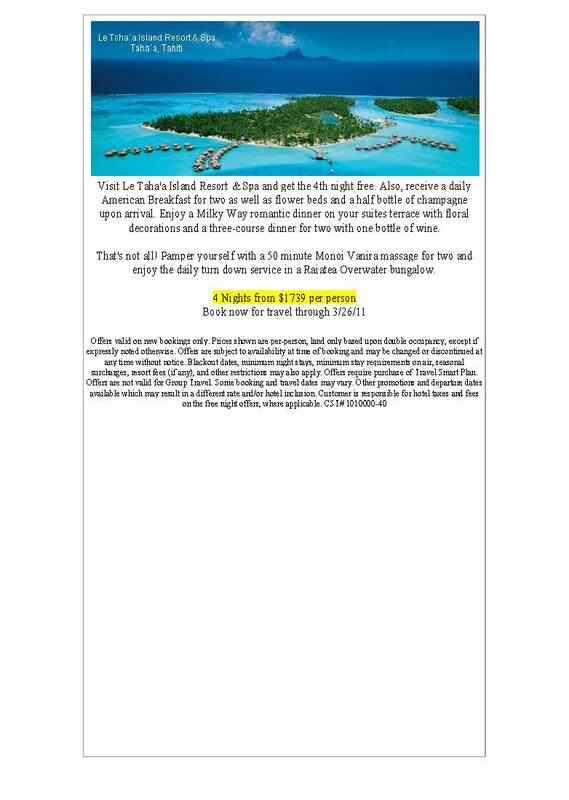 InterContinental Bora Bora Resort & Thalasso Spa – Lapped by Bora Bora’s legendary lagoon, with iconic Mt. Otemanu in direct view, this five-year-old luxury resort mixing distinctly contemporary décor with traditional Tahitian ambience is a truly memorable spot to exchange “I Do’s.” In fact, there are several locations for weddings, ranging from an air-conditioned, glass-floored overwater chapel (from $2,050 and shown at left, courtesy of InterContinental Hotels & Resorts) to a sun-dappled beach (from $1,900) – both with mesmerizing Mt. Otemanu views. The resort’s concierge/wedding planning team aims to personalize each marriage with the couple’s preferred mix of Polynesian and Western elements and post-ceremony cocktails and dining (tip: the fire dancers are a must!). Rates from $900/night (most accommodations are overwater bungalows, with a few two-bedroom family suites from $800/night). Four Seasons Resort Bora Bora – Couples can choose from seven wedding venues at this two-year-old five-star property – including a brand new catamaran, the Four Seasons Navigator, during a scenic two-hour sunset sail. After welcome Champagne and canapés, the couple and a maximum of 12-16 guests head up to the Navigator’s top deck for an intimate and breathtaking traditional Polynesian ceremony presided over by a Tahitian priest and accompanied by two musicians (from $2,150). As the lagoon shimmers and the passing scenery captivates, everyone revels in this very private and enchanting setting (shown at right). 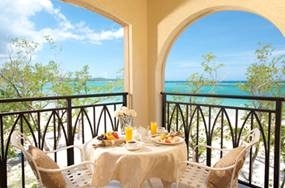 Other venues include the resort’s beach, its tiny offshore Sunset Motu or its open-air wedding chapel. Afterward, dining and entertainment options range from a beach barbecue (again, reserve the fire dancer!) to a fine-dining gala for up to 100. Rates from $900/night. Celebrity Cruises – NEW SHIPS! 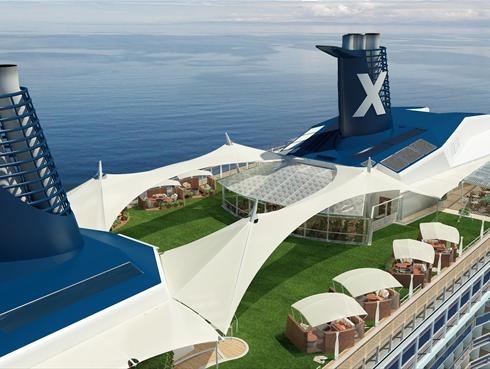 Celebrity Cruises has announced big changes yesterday in its two new Solstice-class ships: the “Celebrity Silhouette” (debuting late next year) and the “Celebrity Reflection” (arriving in 2012). 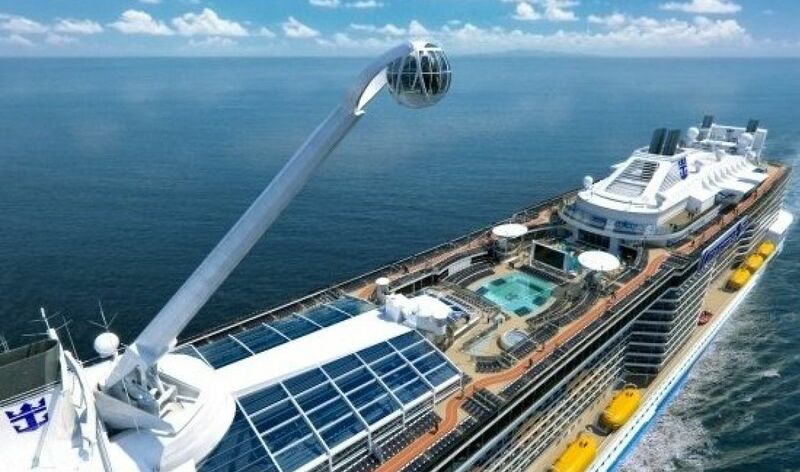 The “Reflection” will actually grow in size by a meter in width and 4,000 more gross tons to make room for more cabins, a larger theater, and expanded restaurant space. In the Lawn Club area on both ships, the Corning Class Museum and the glass-blowing demonstrations will be replaced by two new dining venues (the Lawn Club Grill specialty restaurant [$30 per person] and the Porch) and eight cabana alcoves (available for rent), plus hammocks and Adirondack chairs. Meanwhile, the popular Michael’s Club area will become a craft beer bar, and the Team Earth interactive exhibit will be replaced by The Hideaway (a quiet lounge area). Without a doubt these are going to be spectacular ships, especially Reflection! Don’t hesitate!!! 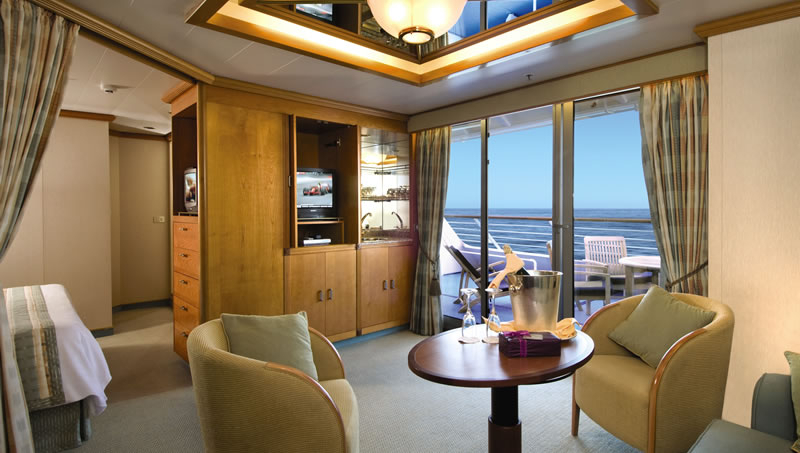 Contact me today to discuss your next cruising adventure.